Price is guaranteed NEVER to change after your initial enrollment. Quantum MX Reviews Recently Reviewed! Cons: About the only thing I'm not fond of is the date reporting on reminders. It works, it's just not what people are used to seeing in their logbooks. Example: if your ELT battery expires MAR 2019, Quantum reports it "due" 1 April 2019. In other words, it reports the first no-go date rather than the day it expires. Cons: When data entering items for someone who relies on quick and efficient work flow this part can sometimes be a drag depending on how big of a network server you have. I have had a few instances where i have dealt with the software freezing or locking me out. Overall: I believe my pros say it all. Pros: I love that this software allows my employees to easily time in and out of different parts of different jobs. 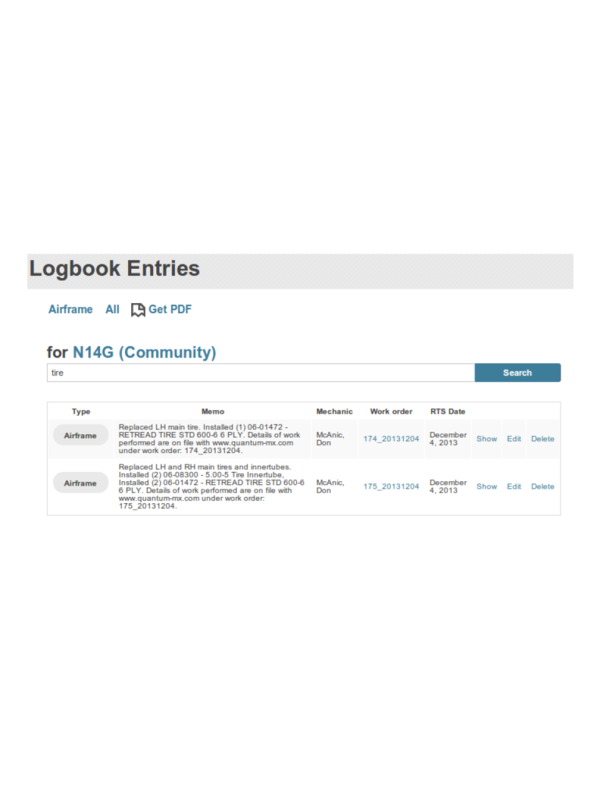 It has made it so much easier to create logbooks and invoices. Cons: The home page is really . . . not helpful. 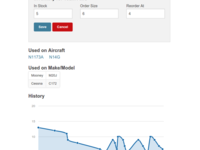 The only thing you can do from the home page is view aircraft and open work orders. It would be nicer if the home page showed more information (parts on order, pending WOs, open WOs, maybe a calendar schedule). Overall: When I first purchased Quantum MX, I wasn't sure what to expect. I had been looking at different software alternatives to the paper forms we were using and most of them were not created to be useful in a maintenance setting. 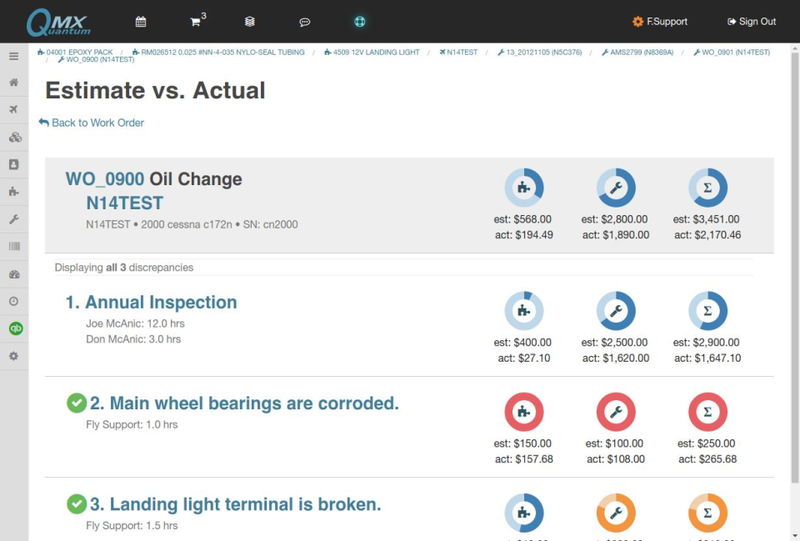 QuantumMX has almost everything I was looking for, individual accounts for each mechanic, inventory tracking, customer databases, logbook builders, and even aircraft maintenance tracking. After a few days of making dummy work orders and playing with what the software is capable of, I was very comfortable with using most of the features. My older co-workers . . . needed a little more help, but they are now using it much more efficiently and I'm spending much less time chasing paperwork! The customer support at Quantum MX is superb. They post a phone number (an actual phone number) on the Fly Online Tools website and you can talk to an actual real live person! The few times that I have contacted them, they have been knowledgeable and quick to assist. All in all, great software operated and maintained by great people! Recommendations to other buyers: Before you try using this software in the shop, make a few bogus work orders and make sure you know when you have timed into a job and when you have timed out. That was the biggest issue with getting everyone on board with using the software. Usually, someone thought they were timed in and they weren't, then when they tried to time out they (obviously) couldn't. It would take several minutes to show them again that you need to open the work order, add the discrepancy, ADD THE WORK, THEN TIME IN. Thank you for your review Rachel, and for your product feature suggestions. We are nearing the completion of the overhead timekeeping ability feature that you suggested a few days ago. Pros: It is written specifically with maintenance shops in mind. Cons: Some of the integration is difficult, more of an issue with Quickbooks. Some of the features are not shop friendly and the team is working to fix those problems. 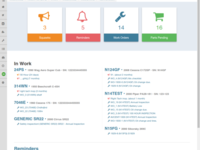 Overall: We did a soft launch of the system in December. All of our technicians had a very easy time adjusting from paper work orders to completing everything on the computer. We fully launched the system on January 3rd for our entire business. The integration between QMX and Quickbooks has been a challenge but the instant support from rep and the team has kept the frustration level to a minimum. After a half hour conference call yesterday had answers to many questions and figured out why some of the parameters were not working. The team work on our system overnight and we are fully functional this morning. Kudos to rep and the team for a great product! This system is going to streamline our business and we will be able to track things that we were never able to before. We understand the initial struggles with going from ground zero to a running "live" system and this has had us frustrated a couple of times.....I cannot reiterate enough how the support has been there instantaneous whether it is via email or phone calls. We are so happy to have the system running and now Quickbooks communicates with QMX with no issues. (Well, quickbooks has some issues). The team is taking our feedback and that of other user to better the program! That is a huge positive to know they are listening to our needs and making changes to accommodate them! So far, so good. Couldn't be happier!! Recommendations to other buyers: There is a ton of front loading of data into the system. Once it is in, the maintenance tracking and inventory control is awesome! 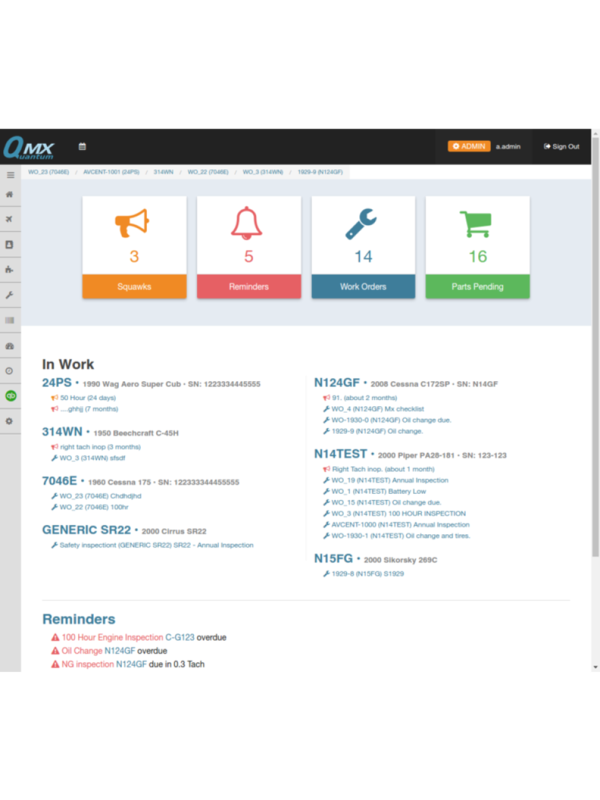 After 100 days or so, please check in and let us know how QMX is adding to your competitive advantage. Pros: Easy of use and accessibility. Cons: Takes awhile to learn all the function. Sometimes is hard to find some options. Overall: Been using quantum mx for over a year now and it has helped my shop tremendously. I have yet to use all the functionality of the program yet but so far for the basic use of work orders, invoicing and inventory it has been great. The company has great customer service and I have been working with Doug on any problems I may have. It does take a little bit of time to get used to using it but after learning it, it isn't so bad. Thanks for your feedback Joshua. Our design team is continuously looking at our user interface design to find way to maximize speed while trying to keep things as simple as possible. We value your input; feel free to send specific user interface suggestions to support@flyonlinetools.com. Pros: Easy to run, always adding new thinks, good support service, low monthly charge. Cons: Can't get to configure my printer for the right label. Overall: Been working with this for a little over a year, in an other company, now I choose ot to handle all my maintenance reports and records on my own company. Support service is excelent, rapid responceto all my needs.. Thanks for your review David. 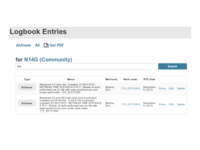 Regarding your Con for printer configurations...Quantum MX exports logbook entries in a PDF format, so the printer settings are local to your PDF viewer or browser. Make sure your printer settings are not set to "stretch to fit". You may also try saving the PDF to your computer and viewing it in a PDF reader that is not embedded in your browser. 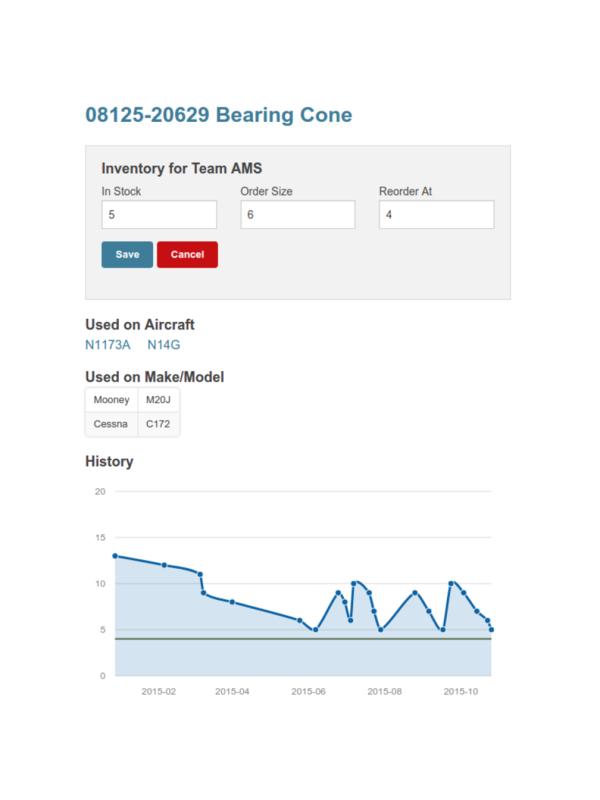 Pros: Just to name a few, this program can track aircraft TIS, Components TIS TSO, stores, work orders, logbook entries and of course maintenance tracking with reminders for items coming due. With an easy to use, modern platform based on a server where you can never loose your information and is accessible anywhere! even your Smartphone! Cons: Hard to find one.any issues i have had is normally rectified quickly but i would have to say the Airworthiness Directive tracking still needs improving. Pros: Their customer service. Quick response time to any questions or guidance. The cost and the flexibility to customize to our operation. Cons: P&L data, would like more information on the reports, to include percentages and labor costs. Overall: Our representative is awesome. Response within in minutes. He has been extremely helpful in guiding us to customize quotes and invoices. Pros: The ease of managing work orders and the simple and quick steps to create other administrative paper work such as invoices and log book entries based on the work order already established. Cons: We wish there was a way to do a data dump for work orders and logbook entries for backup purpose ( in addition to Quantum in house backups). Sara, thank you for your feedback. We are happy to hear that Quantum MX has helped improve your efficiency. The data dump backup feature that you requested is available by signed agreement. Contact your support focal for more details. Overall an excellent value with great features. Pros: Everything is in the cloud and available when ever/where ever and from any device. Product support is fast and effective. Almost all support questions relate to system use with only rare tech issues. Both are resolved immediately. Cons: Unlearning our "old" system and learning a new one seems to be the most difficult aspect. We can see that moving into Quantum MX with no prior experience with other software would have been much easier. Paul, thank you for your feedback. We are pleased that you are having success with Quantum MX and appreciate your feedback that has helped us improve certain Quantum MX features. Comments: This has been a great product. It has been showing some changes, some I have liked and others I have not needed. I appreciate the proactive approach from the software developers and the enhancements that continually come. I operate a small 4 man maintenance shop working on piston powered G.A. Aircraft. Heavy interface with the owners. I enjoy the customer portal. There are many changes I would like to see made, and I feel this group of software developers are the right people to incorporate these as time allows. I will continue to subscribe to Quantum Mx for the next foreseeable future. Amazing service from the Fly Online Tools group. Comments: I have been using the Quantum MX package for a few months. It is easy to operate, everything is stored in the cloud so it's easier to have everything on any computer. Most amazingly, every time I have called for help, or to fix a bug in the system the problem is resolved in minutes, not days or even hours. I cannot remember any company that have resolved issues consistently just moments after discussing time. Thanks Kevin, we are pleased to serve RX Aviation and wish you the best success with Quantum MX! Comments: When we need a system to transition from paper to digital we spent a lot of time trying to find the right solution. We were very fortunate to find Quantum MX over a year and a half ago. 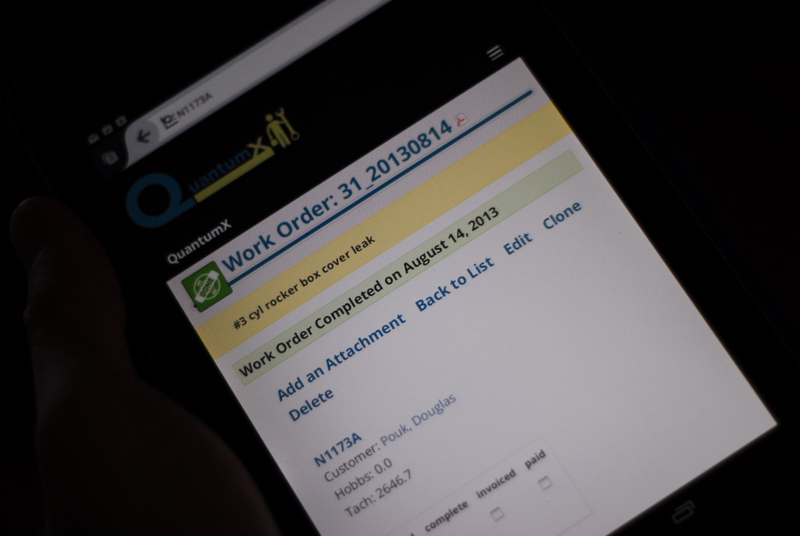 QMX has streamlined our paperwork process, eliminated data duplication and made record keeping a breeze. Their customer service has been outstanding and has worked with us to customize our interface to fit our exact needs. We highly recommend Quantum MX! Thanks Jason for your review and for being a Quantum MX development partner. 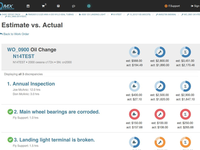 Your suggestions and feedback have helped us develop a slick timekeeping system that helps consolidate maintenance and accounting information into one system. Comments: This has been the perfect product for our in house maintenance operation. Very user friendly and moldable to each operation. Best of all, customer service has been outstanding. Our questions are answered the same day, and solutions to our issues have come rapidly. Great Product and Service! Thanks Patrick for your review and product feature suggestions. We have continued to add key features to Quantum MX that help you run an efficient shop. Comments: I've been using Quantum MX for my business for several months now. I like how easy it is to use and they always seem to be improving the software. Customer service is great! Thanks Ted, we hope that Quantum MX helps you grow your organization and operate as efficiently as possible. Comments: We have several people who are not to experienced in the computer world who use this program and with little training they are all off and running. Thank you for your review Jared and for your feedback and suggestions that help us improve Quantum MX.